What can I say in my defense? Summer happened. There’s a lot going on and I haven’t even had time for mindless browsing, let alone blogging. I have, however, taken a billion pictures of our adventures so I’ve got a lot to post and write about – you just wait! They have little carts you can grab at the entrance and put all your stuff kids in. 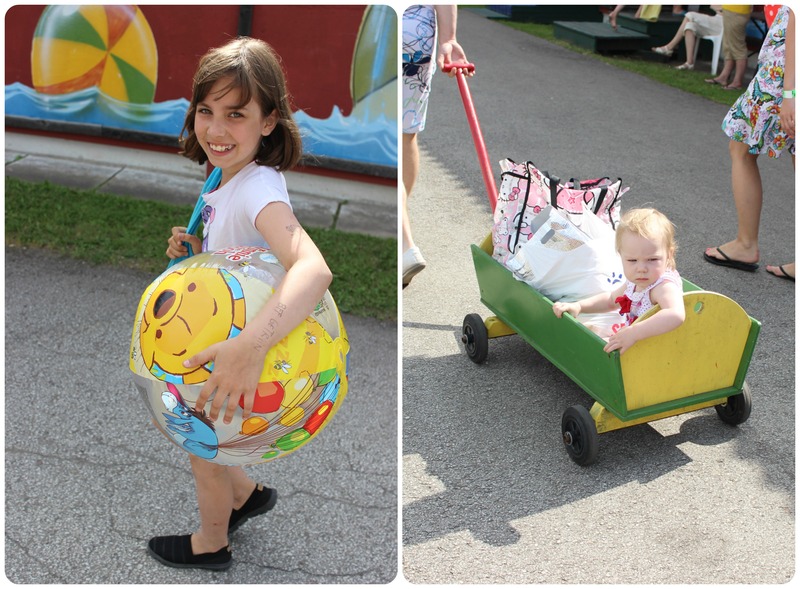 Also bring boys to drag the carts around so you don’t have to do the heavy work! We invited my baby sister along, too. We all agree that she’s awesome, well behaved and just a wonderful little person. She was thrilled to join us – who doesn’t like a decent adventure in great company? 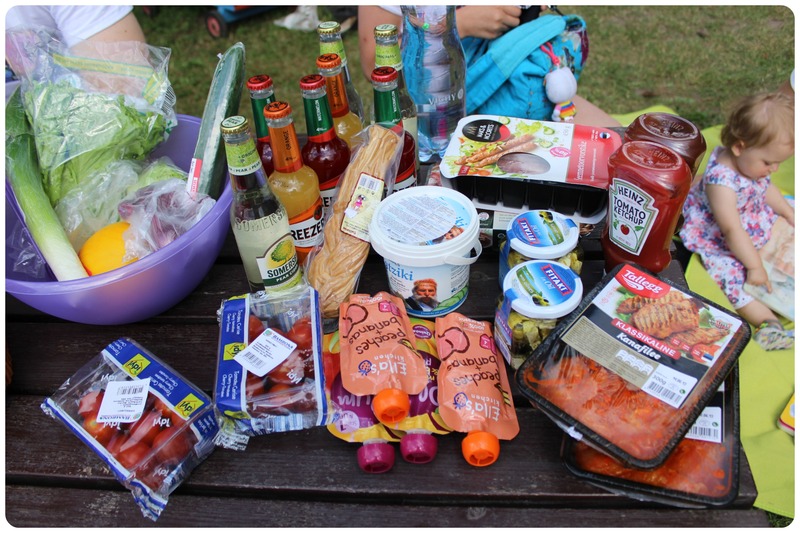 Our picnic-table – we grilled chicken and sausages, made a lovely salad (post with barbecue recipes coming up real soon!) and the people who don’t own a driving license (also known as auntie T and myself) got to enjoy a few soft drinks. The little lady always brings her books anywhere she goes – she’s still quite the little bookworm and really enjoys pointing at pictures and learning new words. Mommy’s proud and it looks like daddy isn’t too unhappy either! I’m not going to sugarcoat it – the water was cold. 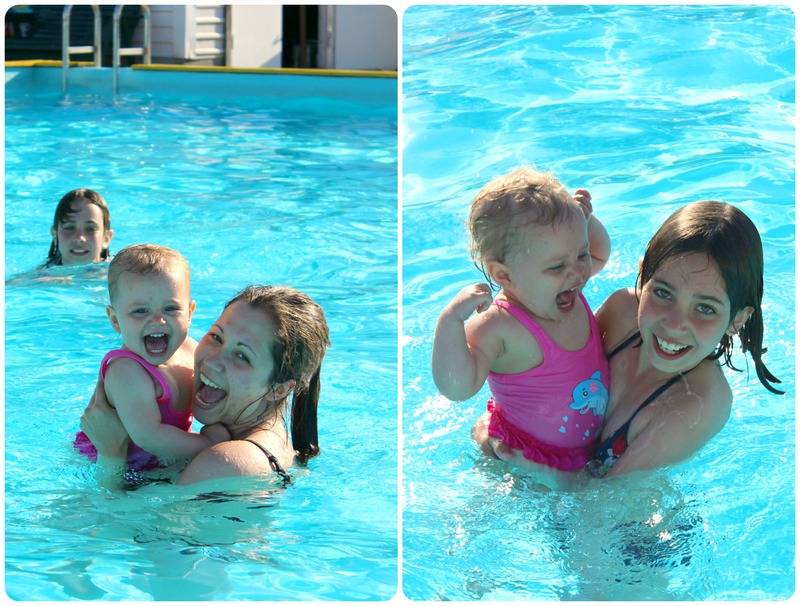 We didn’t mind, though and splashed around for quite a while, until the little one’s lips started turning blue’ish… She laughed and giggled like crazy and had so much fun swimming being dragged around in the water. How cute is the picture with her and her little auntie S? Adorable! It was 7 p.m. and the park was closed. Time to pack all our stuff and head home, hoping to return someday soon!